This week is the last of the beast cards, this time the spells. Top left is the ‘Judgement of Unicorn’. Top middle is ‘Quiet Hibernation’ and top right is ‘Knowledge of Nature’ (sunlight going through trees). Bottom left is ‘Aura of the King’. 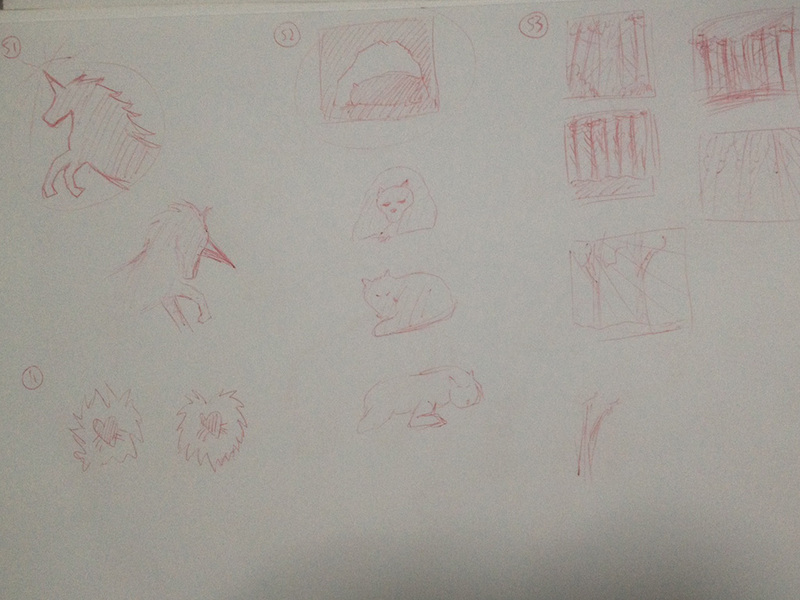 These sketches are fairly simple and also some of them are boxed. This is a style I might end up going for for all the spells but we’ll see. I did a bunch of testing and I think the game feels quite good. I’ve changed some cards and effects. Two worries are that it’s gotten more complicated due to balancing and some card effects don’t seem that practical. I’m more worried about the 1st issue but more testing is needed anyway. What’s next: art for a new race, more testing and I will probably retest the game rules myself in case there’s something I missed out.